The Msgr. McClancy M.H.S. 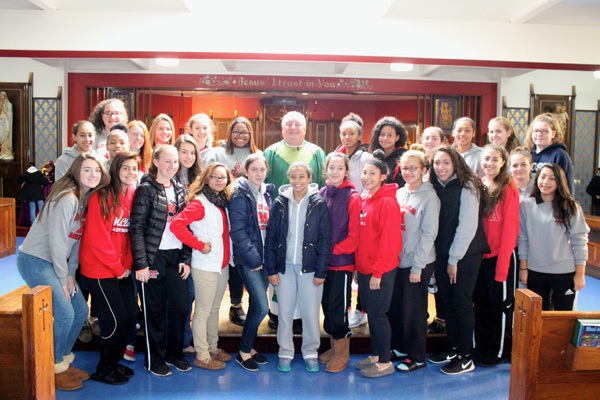 girls’ varsity basketball team in East Elmhurst continued its annual tradition Nov. 15 of attending Mass at Corpus Christi, Woodside, to kick off their hoops season. Father Patrick West, pastor, welcomed the team and gave the girls a special blessing after Mass. 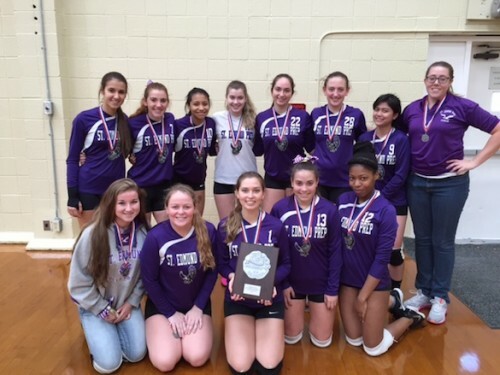 The junior varsity and varsity volleyball teams at Fontbonne Hall Academy, Bay Ridge, each captured their respective GCHSAA ‘AA’ city championship titles. The varsity Bonnies earned a three-set sweet over Maria Regina H.S., Hartsdale, N.Y., and the junior varsity team then swept both sets over Kennedy Catholic H.S., Somers, N.Y. The St. Edmund Prep, Sheepshead Bay, girls’ varsity volleyball team finished as the runner-up in this year’s GCHSAA ‘A’ city championship game. Kennedy Catholic won the match in four sets. The Eagles won their first varsity diocesan championship since 1987. The team, led by coach Meghan Wheeler, finished the regular season 13-1. 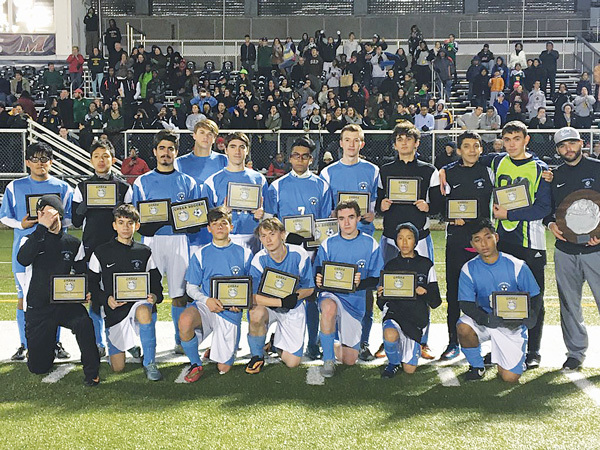 The Cathedral Prep and Seminary, Elmhurst, varsity soccer team finished as the runner-up in the CHSAA ‘B’ city championship game. Sacred Heart H.S., Yonkers, N.Y., earned a 3-2 victory to claim the title.